With the Manhattan skyline forming a stunning backdrop at sunset the prize-giving ceremony for Races 10 and 11 took place at Liberty Landing Marina following the conclusion of The LMAX Exchange – RACE of THE AMERICAS. All the teams gathered to celebrate the end of US coast-to-coast leg which produced two very exciting races, each with a tight finish as only minutes separated the top two teams. 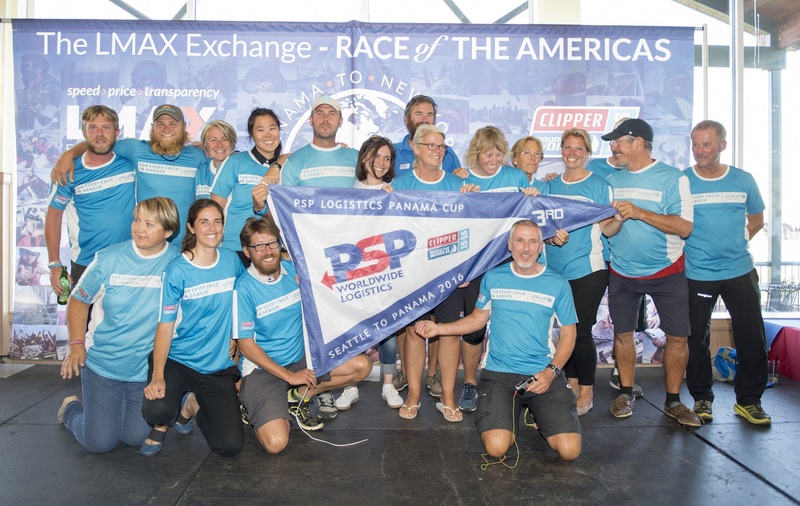 LMAX Exchange picked up its fifth win of the series in Race 10, the PSP Logistics Panama Cup, beating ClipperTelemed+ by only two minutes, but in the following race from Panama to New York Skipper Matt Mitchell and his ClipperTelemed+ crew went one better to claim their first win of the Clipper 2015-16 Race. 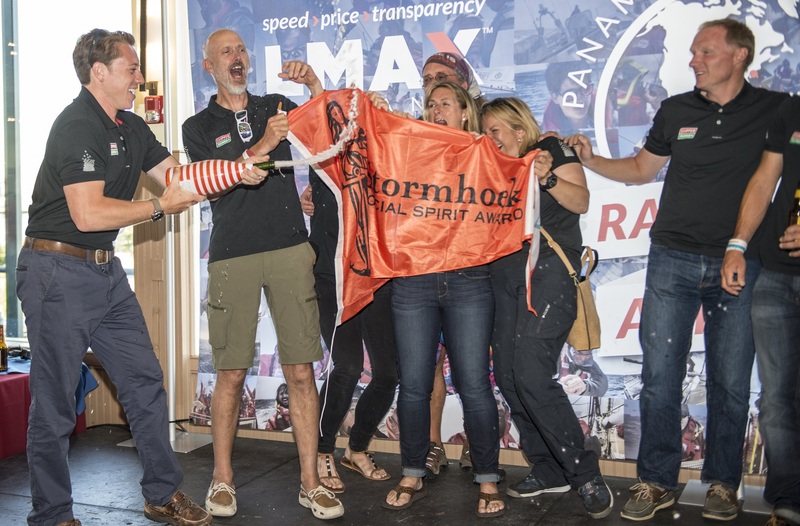 It was a busy night for ClipperTelemed+ which also picked up the Stormhoek Social Spirit Award for its impressive back-to-back performances this leg and the PSP Logistics Panama Canal photo competition. Coming second in the LMAX Exchange – RACE of THE AMERICAS, and collecting maximum points at the gate has helped Garmin narrow the gap on third place in the Overall Race Standings to just four points with three races remaining. Meanwhile, a third place finish for Visit Seattle was the first time Skipper Huw Fernie and his crew have placed in the top three and also leapfrogged Unicef and IchorCoal to move up to ninth in the overall leaderboard. The very first award of the night was the Stormhoek Social Spirit Award for Race 10 and the winning team received rapturous applause from the crowd because it went to PSP Logistics for their rescue mission of two turtles caught in fishing nets in the Pacific Ocean. 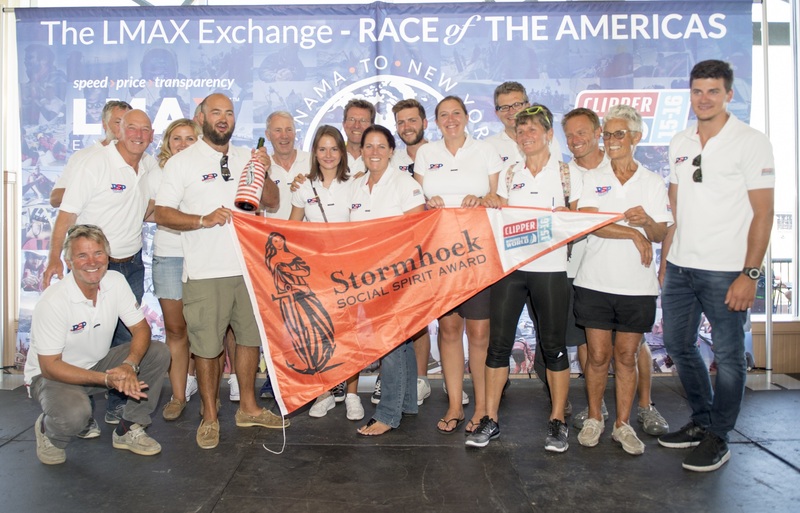 Ironically LMAX Exchange missed out on the podium into New York, despite winning Race 10, their first since Race 6 to The Whitsundays, Australia in January. 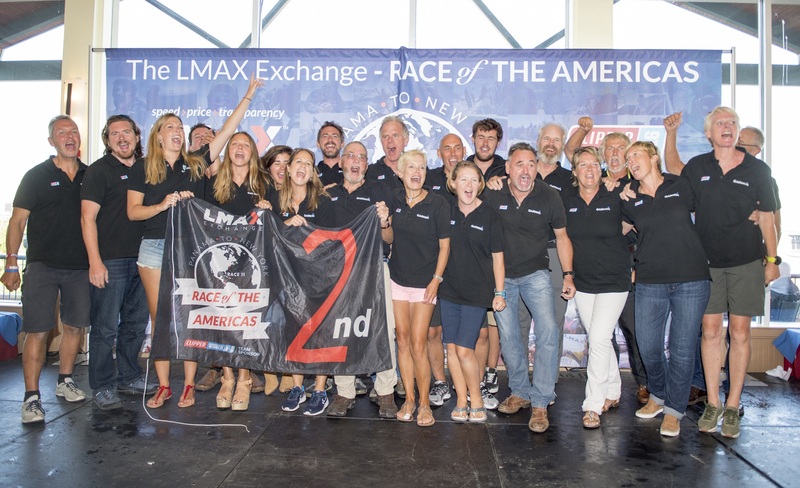 LMAX Exchange Skipper Olivier Cardin says his team never gave up the belief they would win more races. "This race was tough, very close right to the end and we managed quite well to be efficient against the others, especially in the last 24 hours against Unicef and ClipperTelemed+ because we were match racing. There were a lot of tacks to have control over each other. We had been pushing hard for some days and on the last day we had a squall come in and we fared better than ClipperTelemed+ by staying away it and crossed the finish line about 200 metres ahead. Getting back to the top of the podium is really good because we have worked very hard to get there." 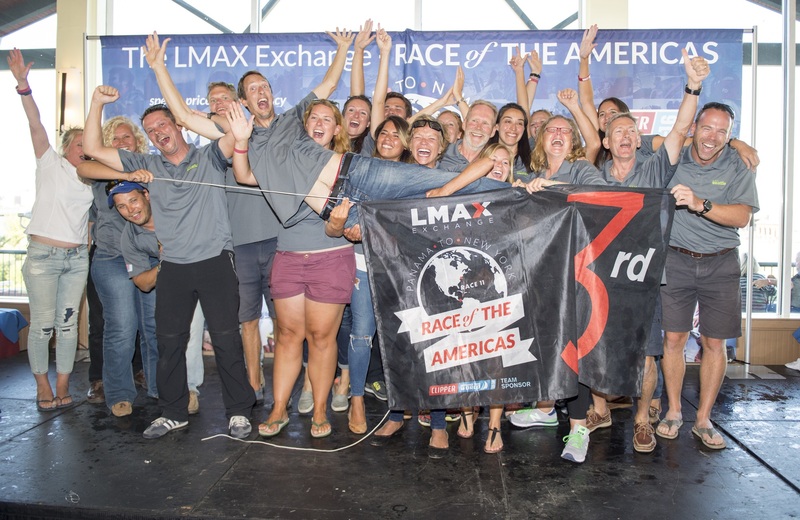 ClipperTelemed+ collected second place in the LMAX Exchange – RACE of THE AMERICAS and Unicef, backing up the strong finish into Seattle, was back on the podium in third place this time. 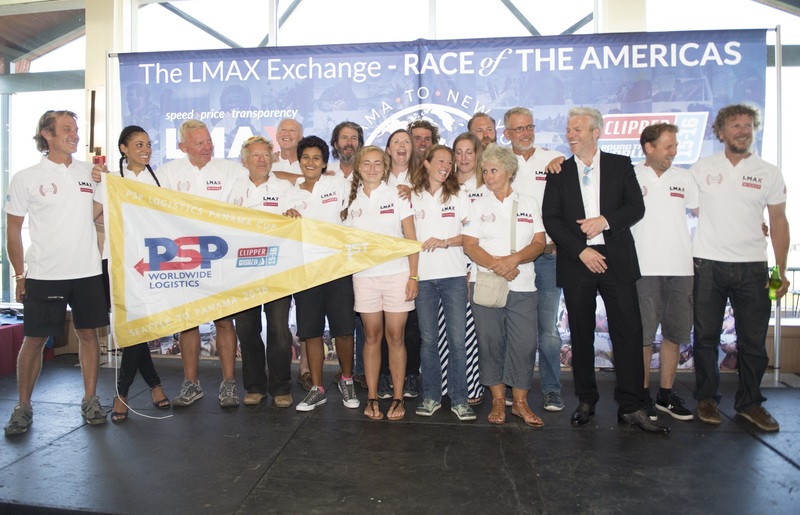 As the teams transitted through the Panama Canal between Races 10 and 11, PSP Logistics challenged them to get creative for a photo competition, the prize being a £150 donation to their crew fund for New York. Once more, it was the stars of the evening, ClipperTelemed+, who collected the prize. “Thank you so much to everyone for entering the PSP Logistics photo competition. We received so many beautiful photos that really captured the experience of navigating the Panama Canal,” said Jo Dixie-Goodwin, PSP Logistics Marketing Director. “The judges panel chose from the top six most 'liked' photos on our Facebook page and we are very pleased to announce ClipperTelemed+ as the winner. We chose this photo because it was an unusual and creative shot that shows incredible engineering and a perspective that most people will never get to see. Well done!” she added. Having arrived in New York earlier than anticipated most of the crew have taken the time to take in the sights, but with the Race 12 start only five days away, attention will soon turn to racing once more. To see more images from prize-giving, see our gallery here. If you are inspired by our crew and see yourself becoming and ocean racer, contact our recruitment team and you could be part of the Clipper 2017-18 Race.